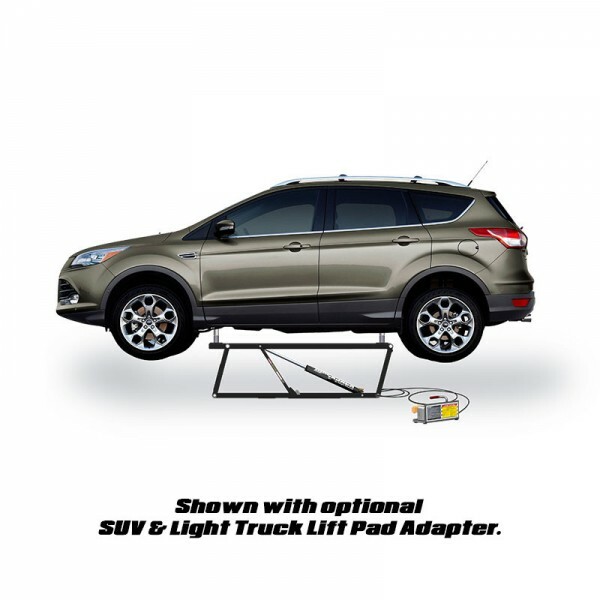 The QuickJack™ BL-7000SLX is our heaviest-duty, ultra-portable car and truck hoist system. 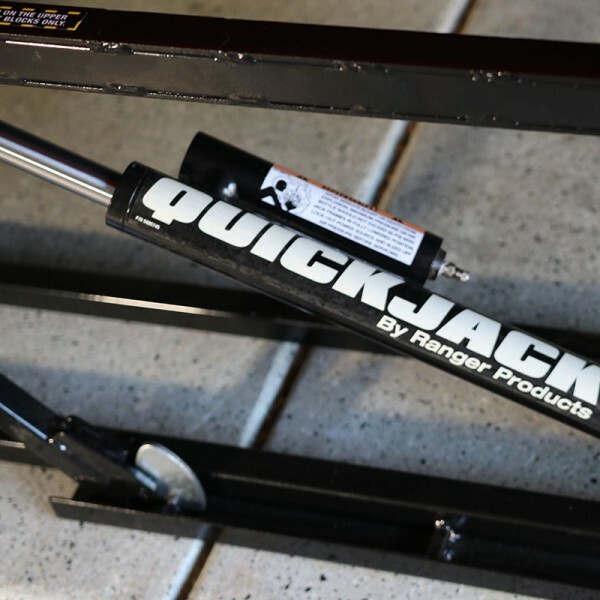 If you’ve dreamed about a professional-capacity lift in your residential garage, or want the muscle to be able to detail all your clients’ vehicles like the big guys, the QuickJack is your ticket to the major leagues. 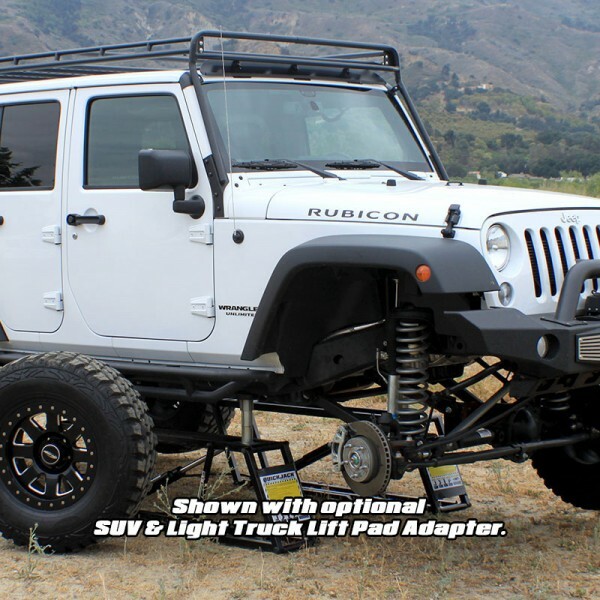 The BL-7000SLX is a real 7,000-lb. 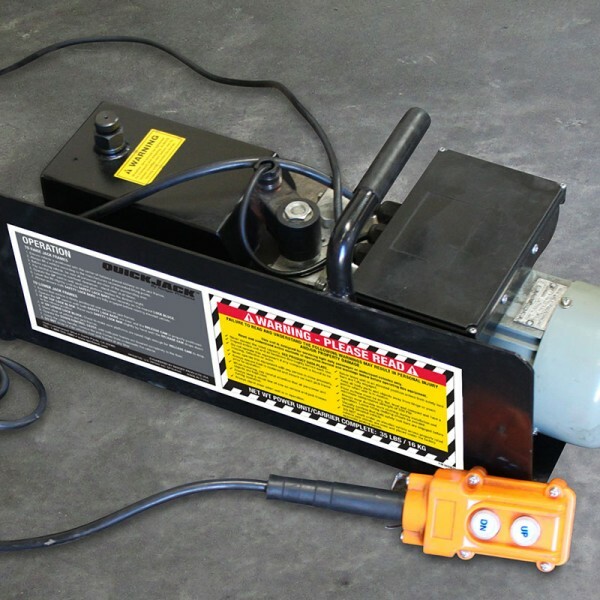 capacity automotive hoist, designed, engineered and manufactured by the same people who make traditional style car hoists and truck lifts found in shops and garages around the world. But with one key distinction that changes everything. The BL-7000SLX is designed to be taken anywhere. No bolts. No wiring. Just two ramps, a power source and a whole lot of potential. 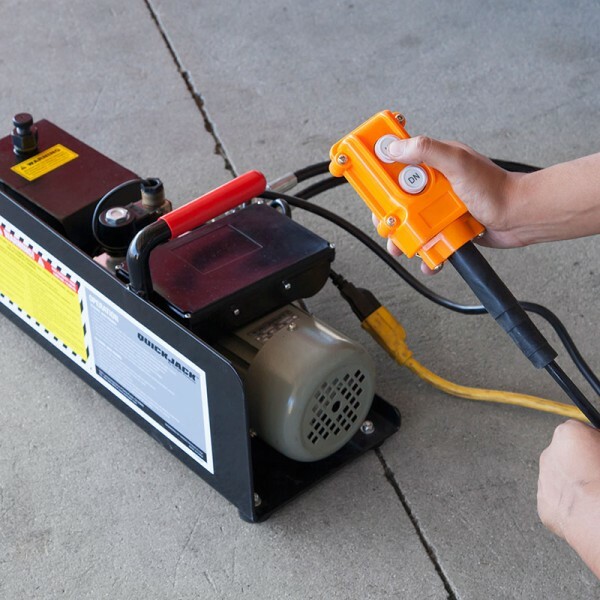 Throw it in the trunk, backseat or truck bed when you need lifting power to go. And store the space-saving frame almost anywhere when not in use. 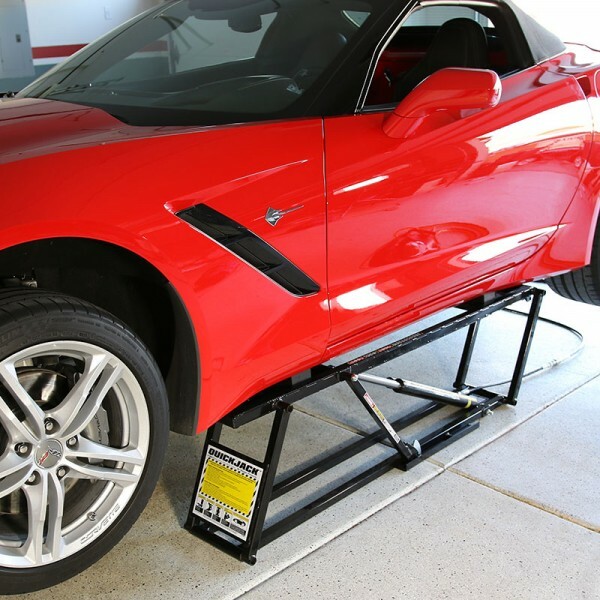 After the initial setup, getting your car or truck up to a comfortable working height takes seconds. 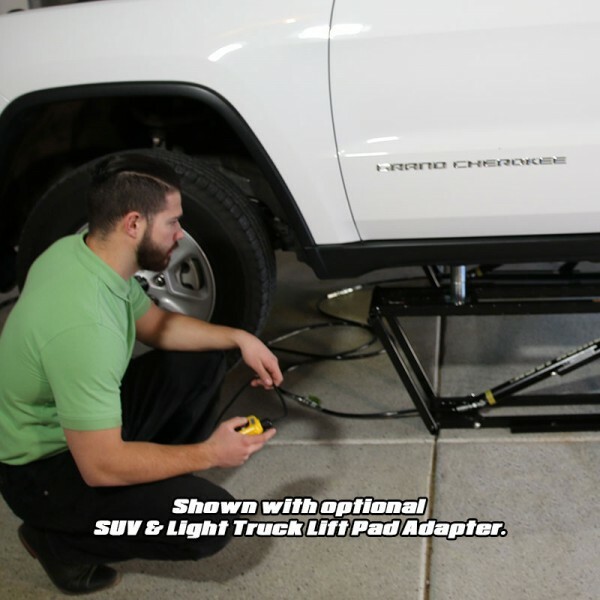 Just place the ramps on the floor, connect the power, position the frames and rubber blocks. And you’re 100% ready to begin work. 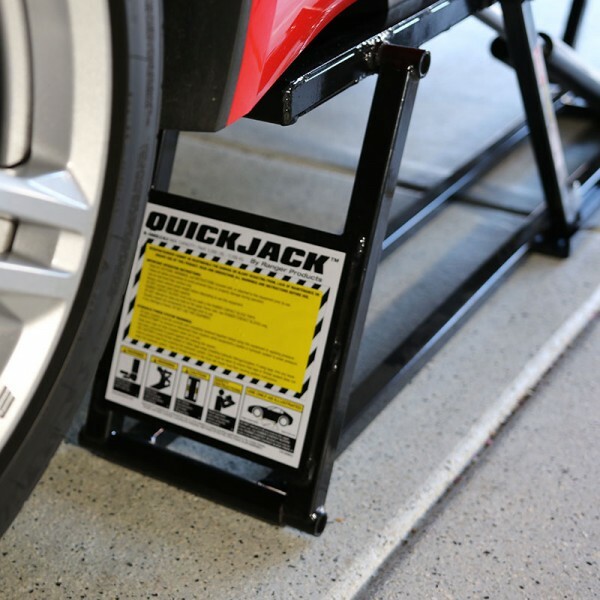 With a whisper thin three-inch collapsed profile, the QuickJack can fit where almost no other lifting system can. 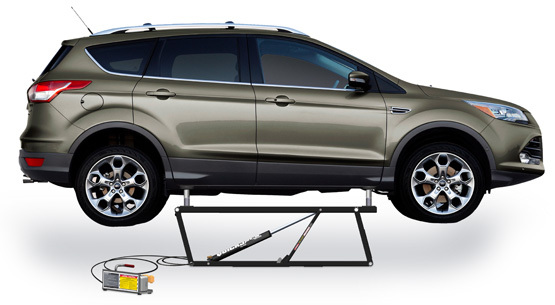 Plus, with the added benefit of no cross beams, you can match your QuickJack portable hoist system to just about any vehicle like a fingerprint. 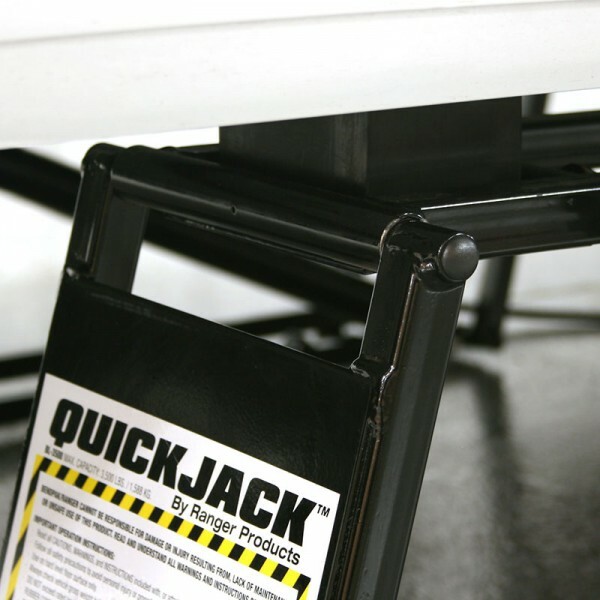 SLX automatic safety locks All SLX model QuickJacks are built with an additional safety precaution: dual-position safety locks that engage as the lift rises. To disengage these locks, simply flip the lock bar to begin a smooth descent. 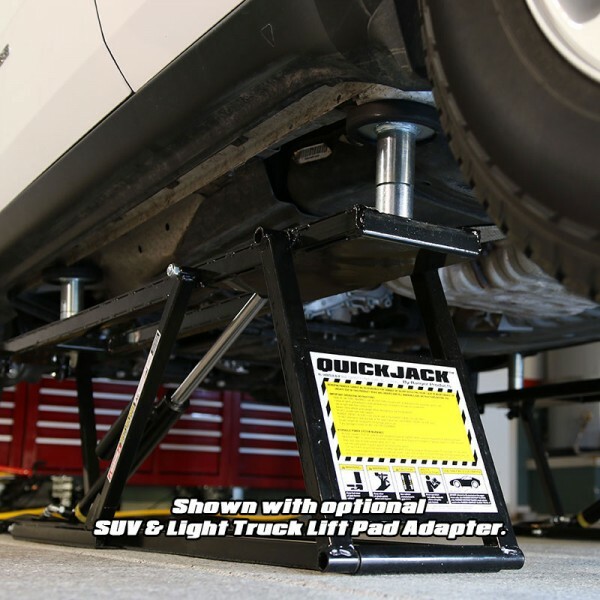 SLX extended block trays We made our rubber block trays even bigger to enhance QuickJack functionality, as well as to provide better positioning options during set-up. 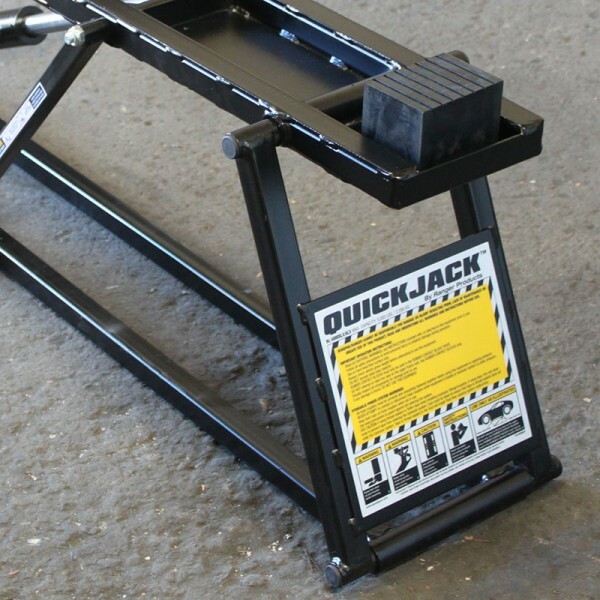 SLX reinforced upper frame rails The largest capacity QuickJack portable lifts include specially enhanced upper frame rails, reinforced with box-welded steel to reduce all deflection. 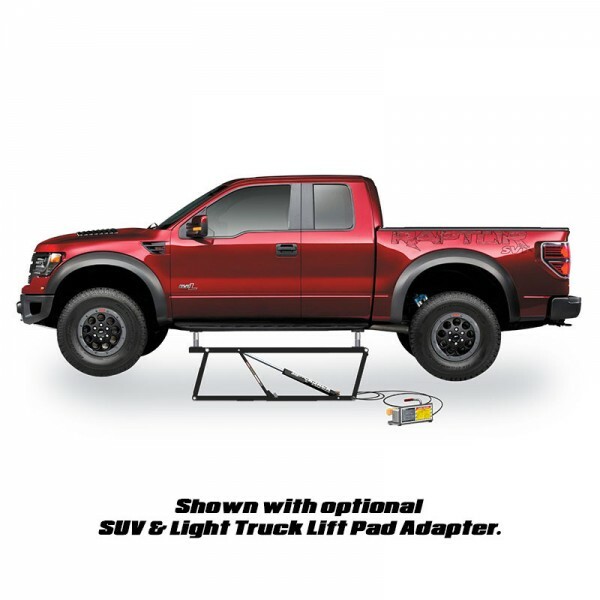 BL-7000SLX extra length ramps Bigger vehicles require a solid lifting base, so the BL-7000SLX has an extended length ramp to give you maximum positioning options.